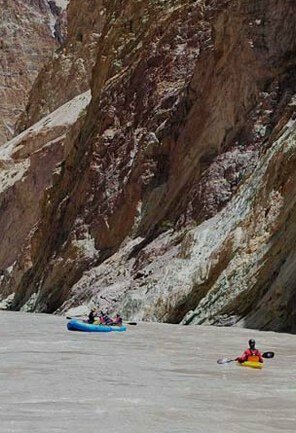 If there has to be a destination that speaks highly of dramatic landscape variations then it has to be Jammu and Kashmir. 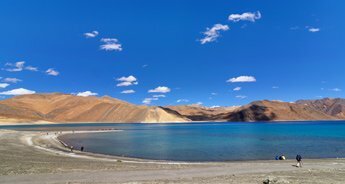 From the lush green valley to the barren sprawled land, this northern-most state is indeed a destination that needs to be explored. 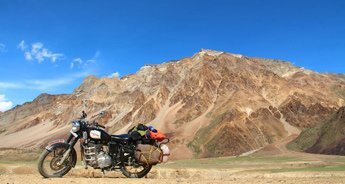 As for an adventure enthusiast an ideal way would be to motorbike across this vastly diverse land to make sure that all the incredibility is covered in one single tour. 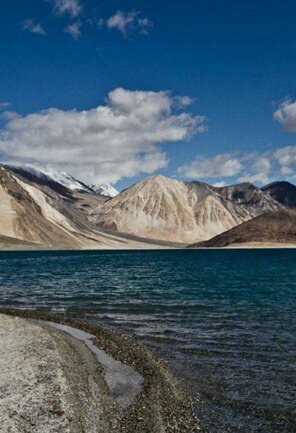 The Leh-Kargil-Srinagar Motor Bike Safari on offer gives one the chance of motor biking through some challenging yet gorgeous routes, witnessing breathtaking scenery and to actually get the wind in the hair and sand at the feet experience! 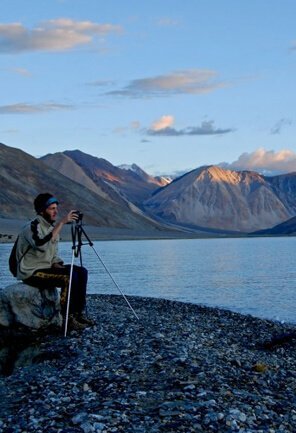 Commencing from Leh, the expedition continues over the Khardung La, world's highest motorable road to landscape exception in Ladakh, Nubra Valley. 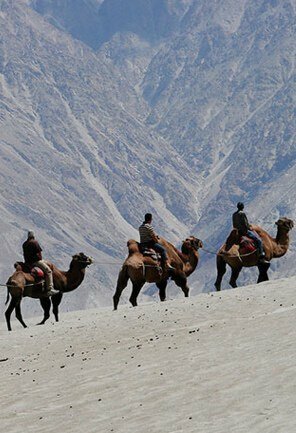 Known for its double-humped Bactrian Camels and sand dunes surrounded by snow-capped mountains, Nubra Valley is indisputably a thrilling sight to behold. 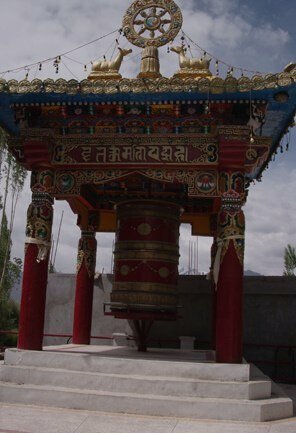 One shall be able to witness 32m Maitreya Buddha statue in Diskit; ancient monasteries like Alchi, Likir and Lamayuru and the historically significant destination, Kargil before moving to completely different terrain of verdant greenery in the Kashmir region. 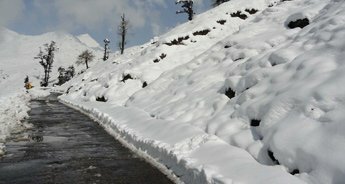 Explore the rustic charm of Sonmarg that can be reached via Zoji Pass and then relish the beauty of Srinagar. Explore the city's important places and get the lifetime experience of living in a houseboat. 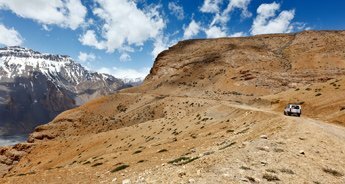 Indeed the Leh-Kargil-Srinagar Motorbike Safari is worth taking, it not only helps one get acquainted with a unique place but also let one test his adventure streak and endurance. 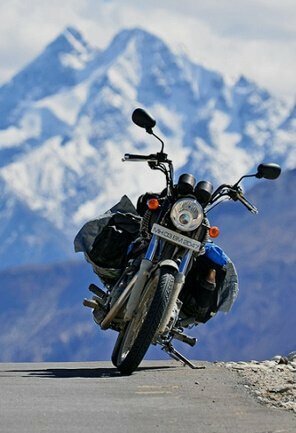 Today, we shall ride to Nubra Valley that lies in the north of Leh and is accessible via Khardung la (5,570 Mts. 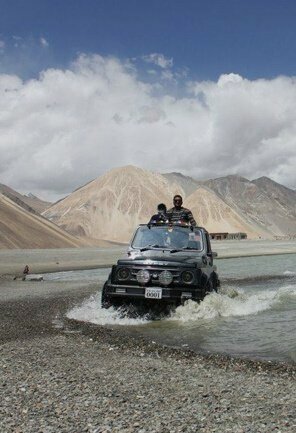 ), which is the highest motorable roads in the world. 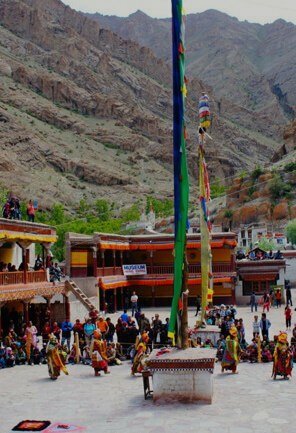 Reach Sumur or Hunder by afternoon and rest of the day explore beautiful village of Sumur and Hunder with a Visit to Diskit Monastery. Overnight stay at Camp at Diskit. Post breakfast at the camp, we shall visit the sand dunes at Hunder and enjoy a camel safari and later drive back to Leh for the overnight stay. 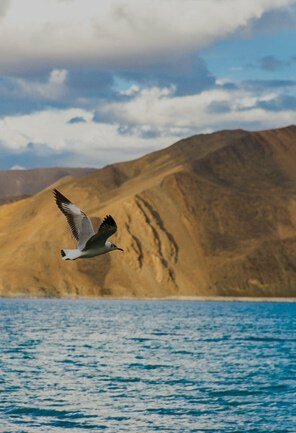 Today, we shall drive to Likir Gompa, which lies on the right side of Leh-Srinagar road about 4 Kms from the main road. 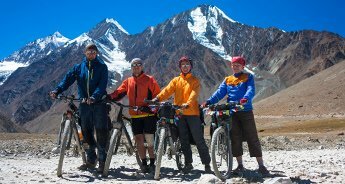 Further we will bike to Alchi Gompa, where we can witness unique paintings attributed from the mid to late 11th century and constructed by the famous translator Rinchen Zangpo. Later drive to Uletokpo and overnight at the camp. 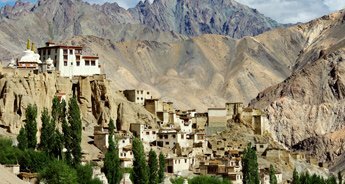 Post breakfast; drive to Kargil and on the way visit Lamayuru monastery which is the oldest monastery in Ladakh. 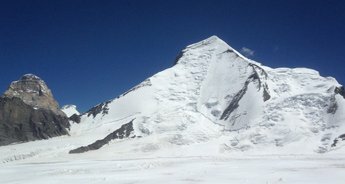 The bike over the Namik-la (3,697 Mts.) 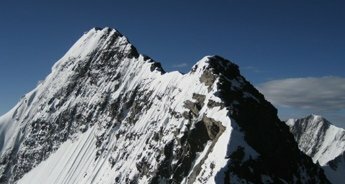 to reach Mulbekh where there is a Chamba statue that has been carved out of a single rock of approximately 50 ft. height, over Fotu-la (4,087 Mts. 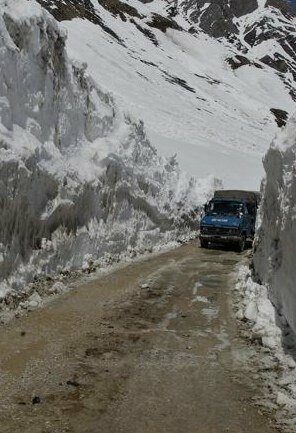 ), the highest pass on Leh - Srinagar road. 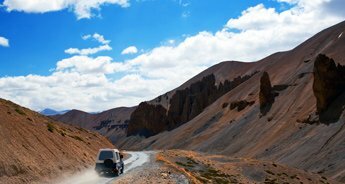 Driving down the kangaroo curves, we shall reach Kargil. 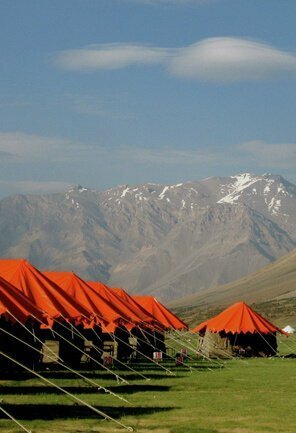 Overnight at hotel in Kargil. 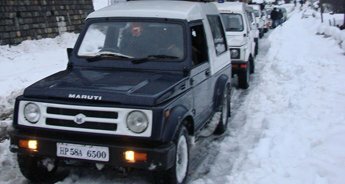 We shall ride to Srinagar via Drass (Second Coldest inhabited place in the World), en route we will visit Kargil war museum, Minimarg and cross Zojila (3033 Mts.) 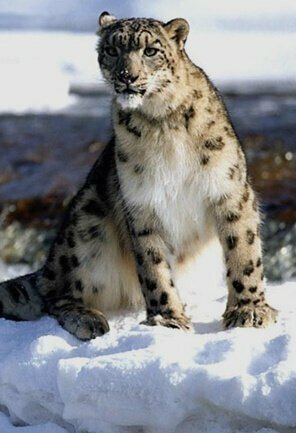 to reach a beautiful destination of Sonamarg in Kashmir Valley. 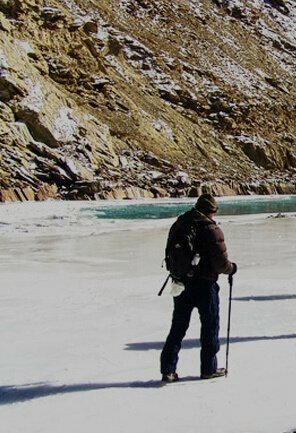 After crossing the Jimmy Gate on Zojila we will enter Kashmir Valley and then we will head out to Srinagar in the evening and check into a house boat on famous Dal Lake. 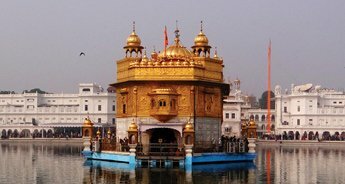 We shall start our day with an excursion to Shankaracharya Temple and Mughal Gardens, Nishat Bagh (Garden of Pleasure) and Shalimar Bagh (Garden of Pleasure). After visiting these places, we shall bike to Gulmarg, which is a world renowned ski resort. 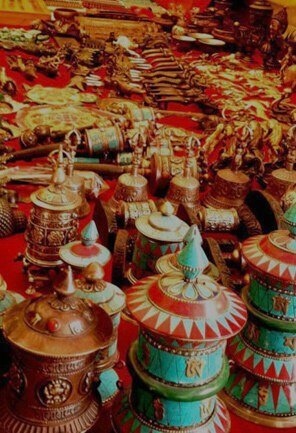 In the evening, we will get back to our houseboat and make a small excursion on Shikara (boats) to the floating market in Dal Lake. 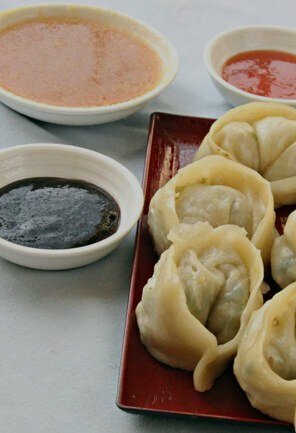 Dinner in a market restaurant. 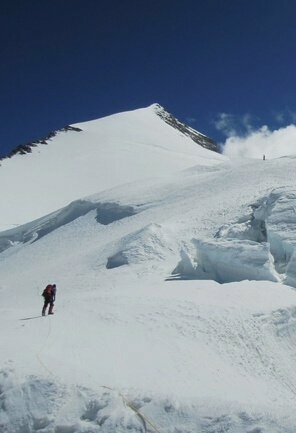 In the morning, we will leave for the Srinagar airport from where we will board a flight to Delhi.